One of my favorite things is receiving a box full of yummy Moda pre-cuts in the mail! I got my fix Friday evening – what better way to to end a long Friday at work!? 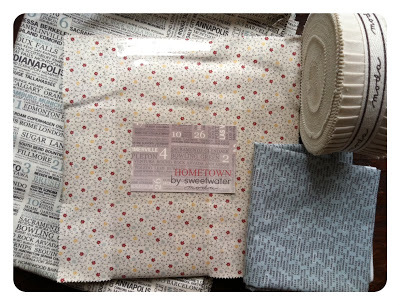 The collection I’m using is called Hometown by Sweetwater for Moda. 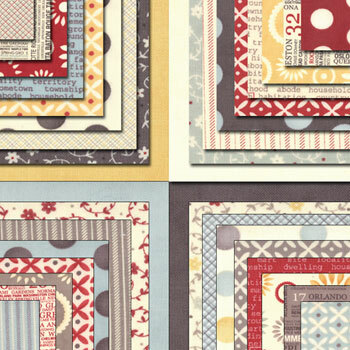 I absolutely love the dark greys and reds with polka dots and newspaper prints. I’m lovin’ this modern-urban look. My tutorial will use 4 charm packs or 1 layer cake pack (you’ll need to quarter the layer cake into 5″ squares), and also 1 solid jelly roll. But I’ll post alternative yardage as well, because sometimes it’s less spendy to cut your own fabric. Trust me – I know how expensive quilting can be! Stay tuned for my tutorial! 7 Responses to Moda Bakeshop Shipment! I love the Sweetwater line – especially "Pure" and "Authentic". Can't wait to see what's in this package. Looking forward to your tutorial! 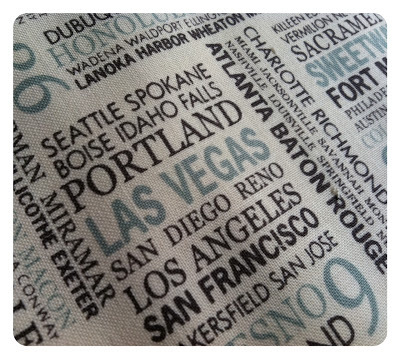 Love the Hometown collection; the colors are great. Also, congratulations on your tiny little "bun". Now a whole new chapter is about to begin! I am with you! I got mine a couple of weeks ago and I am in LOVE with it! Oh, by the way, your blog is a real favorite of mine…good job lady!